So yes, technically spring is here. Technically we should have been soaking in the sunshine and warmth. I’m so glad we planned a swimming event for our portrait members in March, because technically - it snowed that day. So rather than complain about the snow, we hopped into the pool and captured our families splashing around. The best part of this event, was that some of our families were at our last swimming event two years ago, when their littles - were super little. We’ve captured their growth for years. Even my own little has grown. 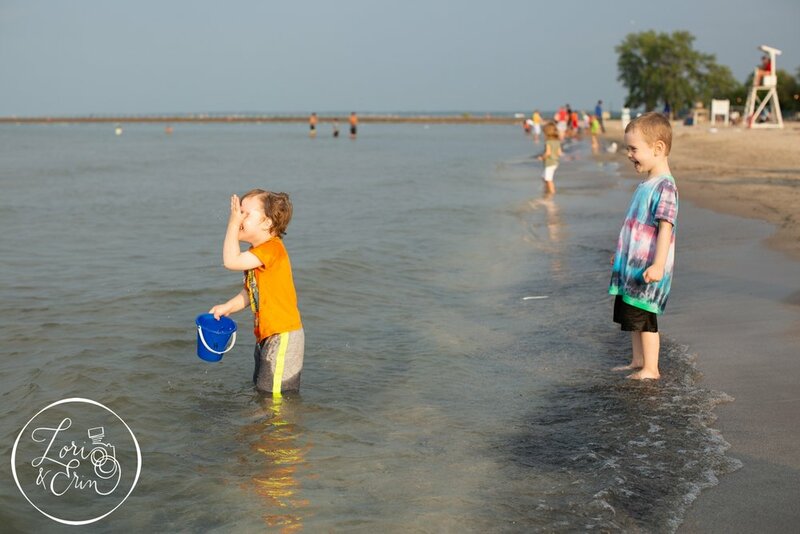 In two years, he’s changed from a nervous toddler who wouldn’t go past his ankles in the water, to finding the deepest spot where he can still touch the ground on his tip toes. I may not have been soaking in the sunshine, but I was soaking in the memories while my fingers got wrinkly. We’ve grown together as a group, always welcoming new members with arms open. The kids are all becoming friends and forming bonds. Towards the end, they were playing water basketball as one big group. It’s becoming the thing we hoped it would be - a community. If you’re still wondering why we keep talking about this membership - stop wondering, and start asking. 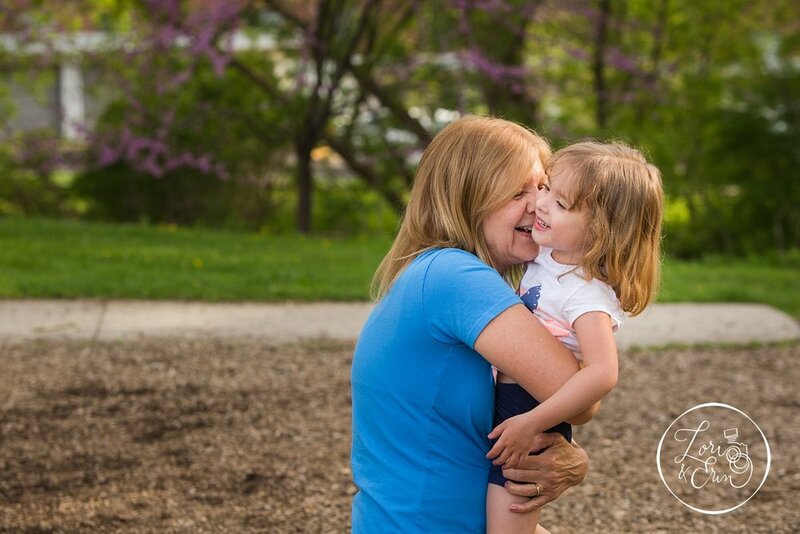 We want to capture your family throughout the year! We promise, you won’t regret it. Learn More About the Membership! Oh my gosh this event was so much fun. We have to give a huuuuge shout out and thank you to Small Fry Art Studio for hosting a Valentine’s themed art night for our Portrait Membership families. 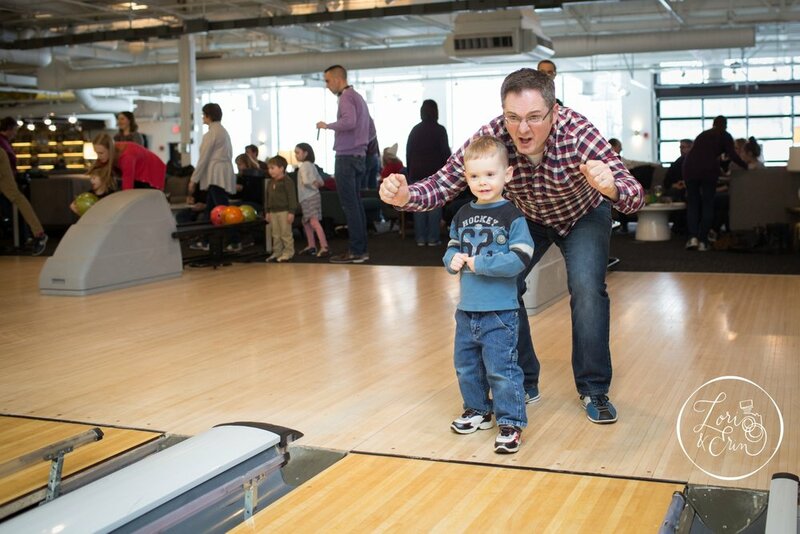 It was easy to see how much fun the kids and their parents had. They painted, created valentines and gorgeous Valentine’s wall art that only a child could create. Messy, smiling kids interacting with their families while creating mostly unprompted, unposed moments for us to capture. It was pretty much the best thing ever. See for yourself, and then stop waiting for your personal invitation to join us at our next event. 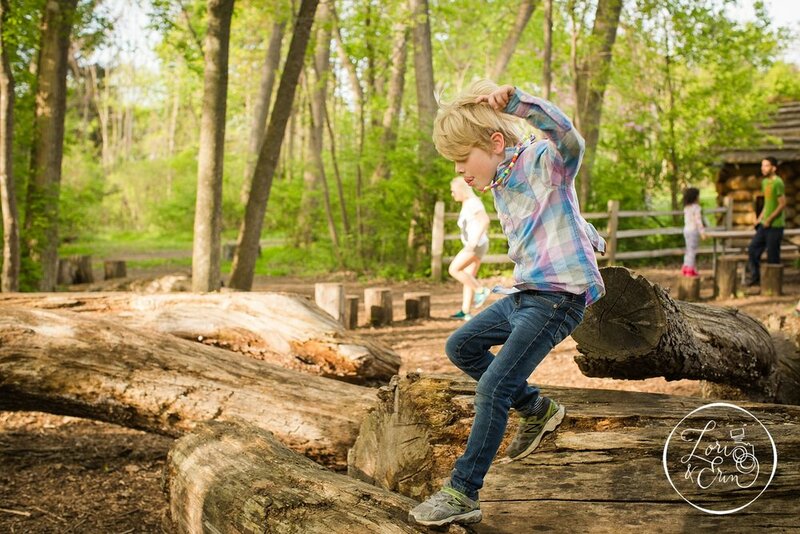 We can’t wait to capture your family in motion. Snowmaggedon nearly threatened to cancel this member event on us. But with quick thinking and moving the date up we just beat it out. We’re so glad we did. I loved watching and capturing our families (of all ages) playing in the snow and whenever possible feeding the birds from their hands. What a joy it was to see the looks on their happy faces as a bird snatched food from it. And to know that we’re giving these memories back to them - that’s everything. If you’re still wondering what this program is about, it’s about letting you be you, and enjoy life. And we do our part by giving it back to you. There were cookies, there was frosting, there were marshmallows and sprinkles. It was a sugary delight for all of the kids. And then the big guy in the bright red suit showed up. Whoa. I didn’t see that coming. He went on to tell me how he watched the kids’ faces when Santa popped in to say hello, and it was beautiful. You guys - that right there is everything this program is all about. See, while we were working to capture their faces, he was enjoying the moment. I imagine, without their camera phones in front of them for a change, our other parents were doing the same. They didn’t need to stress about getting the best picture, because we were there. I’m so glad to be able to give this gift to our members all year long. Whether it’s the magic of Christmas, or a day at the beach, It’s an honor to capture their childhood. Thank you to our families who give us this opportunity all year long. We hope you’ve enjoyed the moments and the memories made. Wow - what a night we just had for our Apple Picking membership event. 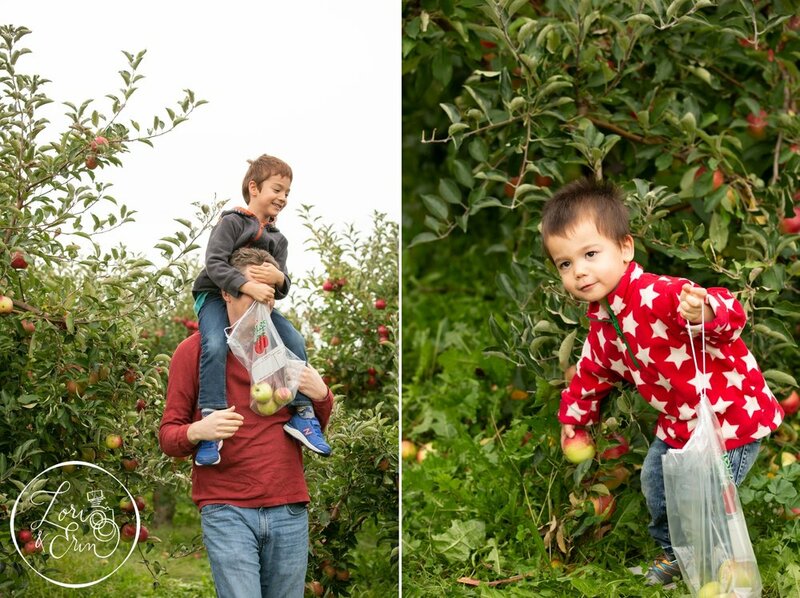 The craziness of chasing families through the apple orchards was so much fun! When I say chasing, I mean some of the kids were literally racing through the rows of trees. And yes, mine was one of them. This is our second year of this particular event and it was also our most attended ever. The Apple Farm in Victor is a great stop for apples and pumpkins, and we took advantage of a great Sunday afternoon with each one. At one point I heard my husband say “wow, this is actually kind of surreal.” and I asked him to explain. He went on to talk about how we’ve watched not only our own child grow and change from year to year - but each of the other kids and other families as well. We know more than their names. We know their favorite stuffed animal’s names, we know which ones love to run and which ones love to snuggle and be shy. We know how to get some of them laughing, and we’ve watched each one come out of their shell a little more each month. It’s an honor and a privilege to be part of so many families lives. We’ve watched them let their guard down and share real, unposed moments in front of us. It’s a privilege that comes with time and a growing relationship because of our membership program. Thank you to our families for coming out, and enjoying time with each other, and letting us be part of the fun too. PS - if you want to see what this program is all about, join us at our next event on October 28th at Wickham Farms! I honestly don't know how else to say it - our members ROCK. They get it, they get us and every time we see them it just gets better and better. The photographs we take at these events are of real life. These kids are real, and their parents let them be that real because way back in the back of their minds, they know that these are the moments they'll forget over time. Except - This night they won't forget, because these photographs will be there to remind them. This moment in their children's lives is now captured, preserved, and forever cherished in photographs. 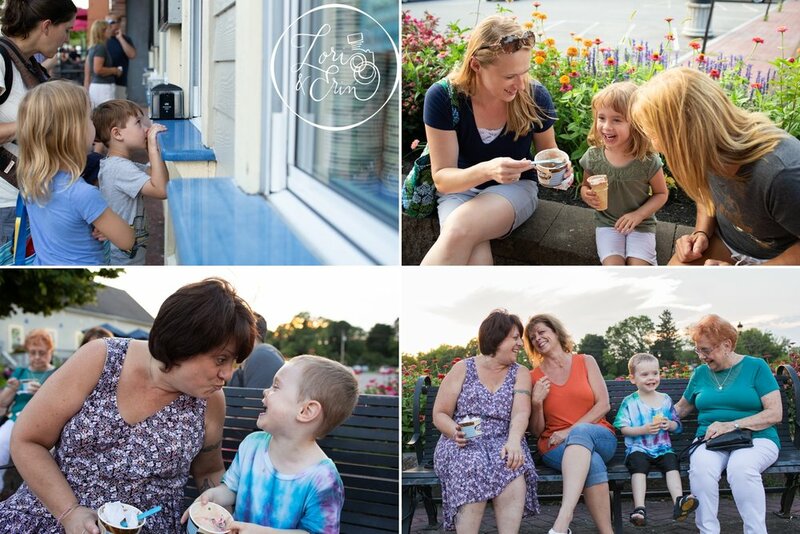 This event might have been one of my all time favorites - a perfect night for sand, sun, waves and ice cream. If you want to remember that messy but happy face, if you want to remember the moments in between the dressed up portrait sessions - you should be here, with us. Alaina and her family have been part of our membership program since Alaina was born. It's been amazing to watch her turn into this bubbly little girl. Witnessing and capturing growth, not only in Alaina's size but as a family is a beautiful experience. Picking flowers, climbing benches, playing peek a boo - really, is there a better way to spend a morning with a two year old? I think not. Her eyes light up with happiness when she's playing. And that laugh, I swear you can almost hear it in these photographs. Check them out, you'll see what I mean! 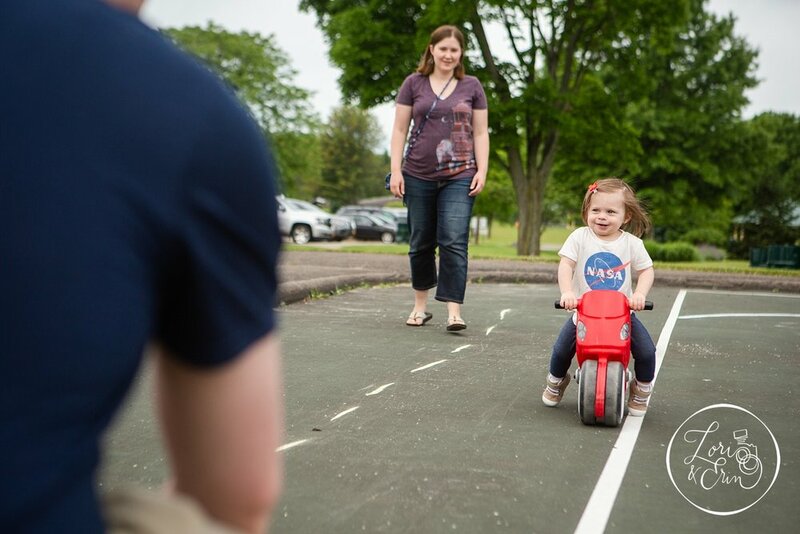 Being active is important, even if it's just getting out there for a bike ride with the family. So teaming up with local fitness vendors for this month's membership event was such a great experience. The event brought us to Fellows Road Park for Perinton Rec Center's: Walk, Bike, Play, Family Fitness Day event. We played fun games that got us moving with Joe from Next Level Athletics. We also did yoga with Allison from Butterfly Kids Yoga (some of it in our own special toddler way) while Bach to Rock motivated us with their musical talents. Doug from RVE was there to get our bikes ready for the summer, and they used the basketball courts to create the perfect track for our bikes and scooters to follow. Then we played on the playground to finish up the morning. 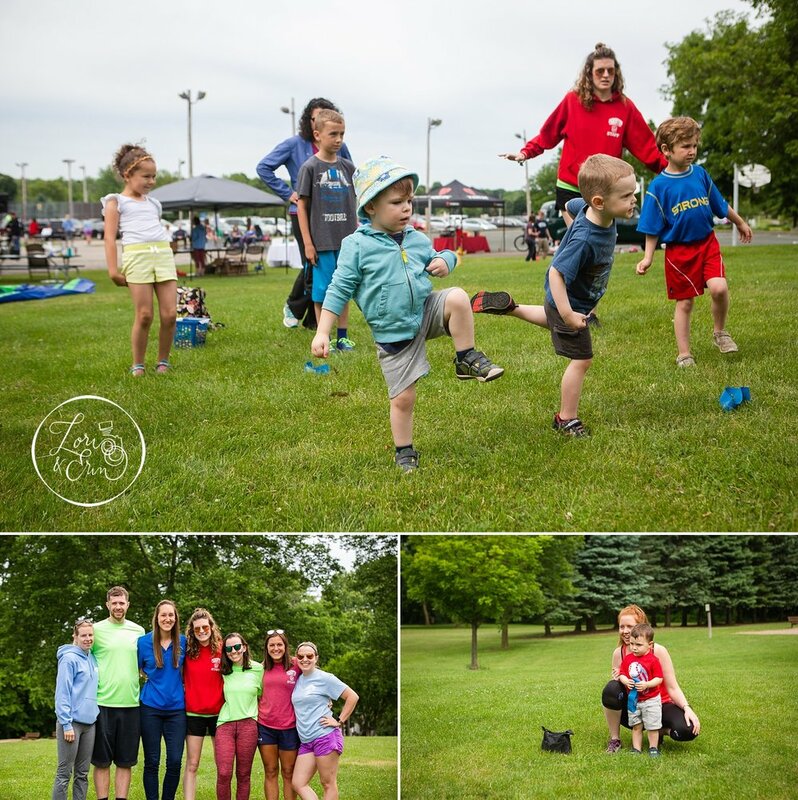 Our families just got to play and do a little yoga together, while we captured their time to give back to them in the form of memories. It was a great Saturday spent being active together. If this wasn't your cup of tea, our next event is going to take us to the beach - so sign up and join the fun! It was the perfect night to play. Our membership events aren't complicated. Most of the time, they're short outings. They're designed to give you a break to spend time doing the things that actually matter. 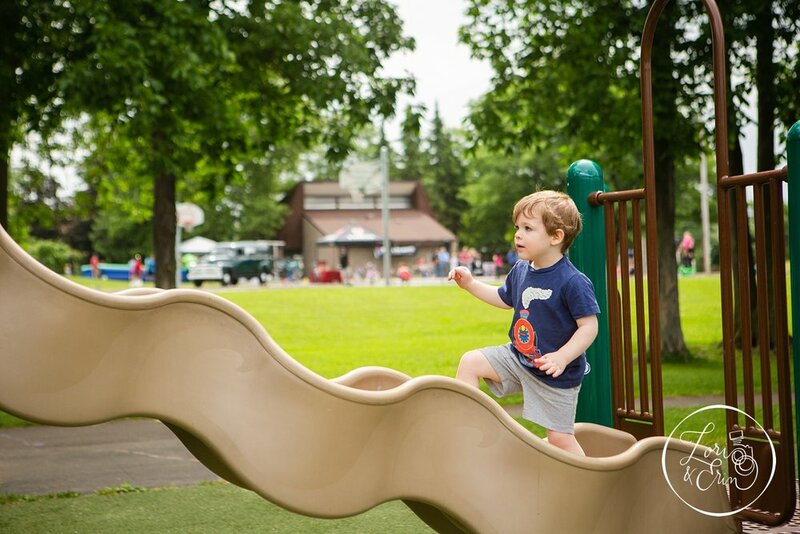 Whether on the weekend or a beautiful night at the playground. Our group continues to grow, and not just in numbers. 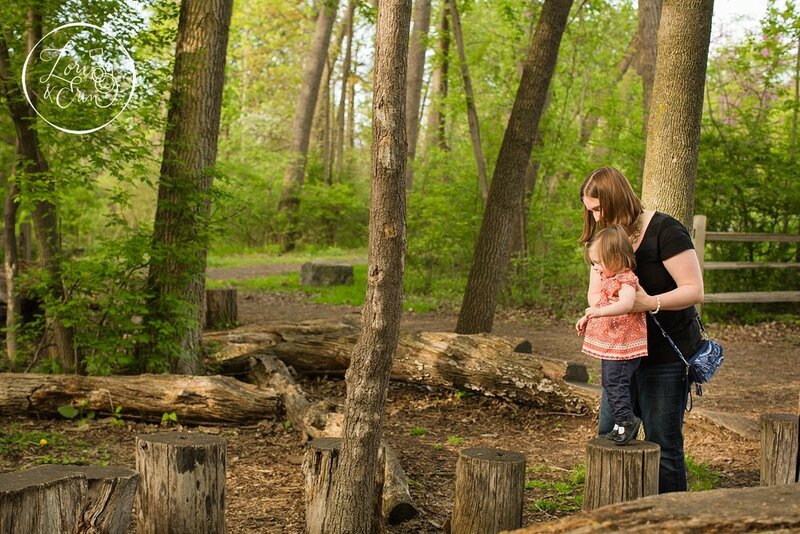 We watched this week as our families and kids actually grew together through play. They raced each other, they climbed and they hunted for bugs. It was awesome. We've also watched them grow physically, from babies to running, jumping little kids. Keeping up with them all has become an exciting challenge. It was a simple trip to the playground, but it was the perfect day to capture the little moments of play that we want to cherish forever. PS - if you want to be a part of it all, get in touch! On any given night, it's possible you'll find me in my pajama pants by 7:00 pm. I like to be comfortable - as most parents of kids with early bedtimes do. But on sooooo many occasions, between 5 and 7 pm is when three year old is at his CRAZIEST. So to give his energy an outlet, we turn on the radio and dance. When we planned last weekend's membership event, it had my name ALL over it. 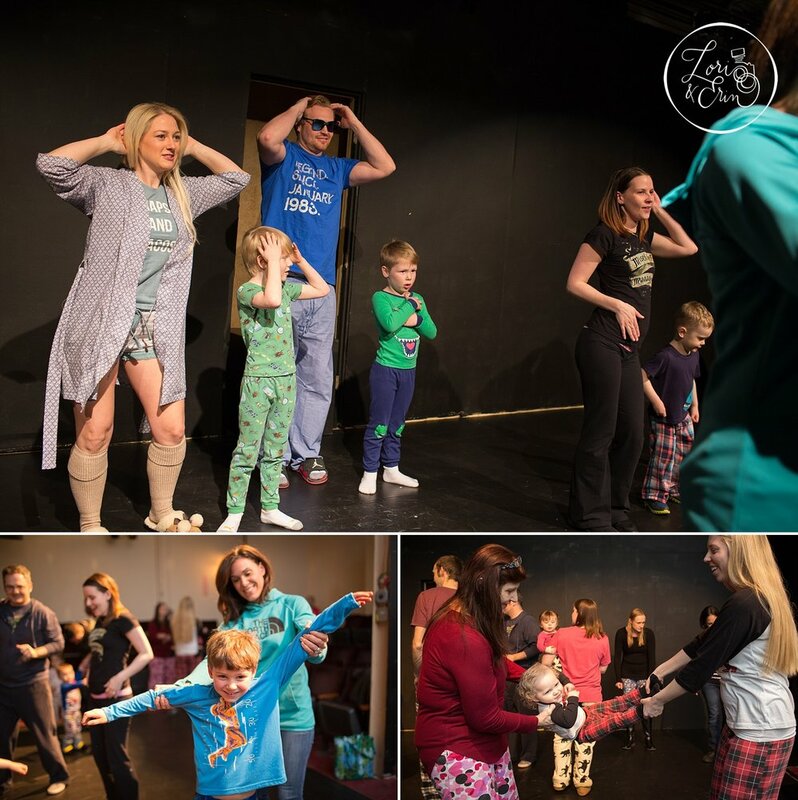 Working together with Spotlight Theatre Arts, in Fairport NY, we created an event for our members that allowed us to both wear our PJ's and play. And it was so much fun! We played games, we danced and we did it all with our family. We create these events for you to get involved with your children. We hope you will allow yourself to be silly, and let us capture it for you. If you're interested in learning more about our membership - join us at our next event on May 16th at Abraham Lincoln Park, or get in touch! PS - Give a BIG thank you to John and Spotlight Theatre Arts when you see them next!! Three minutes of egg searching craziness. That's how long an egg hunt takes a child. It takes at least two of those minutes to find and set your phone, then another minute to catch up to your child and attempt to snap a photo of them trying to carry eight eggs in two hands. By that time, you might have missed the moment. Being present is something we all struggle with, right? You want to enjoy, but you also don't want to forget their smiling faces in this moment. I am that mom, every day. This is the reason we created this membership. So you can be there, enjoying "right now." Because we're taking care of the rest. Catch up with us and the fun of the egg hunt event below! Then join us on April 6th to find out how you can start enjoying "right now" with us. Oh my goodness, I think we're still processing it all. It was almost like a wedding and a reunion mixed together. Lori and I couldn't stop smiling as we talked to everyone that joined us for our big five year anniversary bash at Radio Social. We bowled, we played, we ate great food and amazing cake. Stepping back and taking it all in, we really have so much to be grateful for when it comes to this two person operation we've got going on. After reflecting on the party, I realized something pretty big. This is wayyyy more than a two person operation. It's taken a village, our tribe of amazing people who have supported us every step of the way. From clients and other photographer friends, to family members, amazing friends and our ultra patient spouses – we're never without someone to push us further, or pick us up when we need it most. Thank you to those who came to celebrate with us. We have to especially thank Heather McKay of McKay's Photography (her's are the rounded corner photos below) for photographing the event for us, and Michelle Crawford of Shell's Sweets for the delicious cake! And thank you to all those who have supported us - whether from close to home or afar. It's your referrals and your kind words that have allowed us to do what we love for five wonderful years. 5 Years and Counting: Happy Anniversary Us!